It was most surprising to hear today that Lord Carter may be leaving the government. He’s currently preparing the much-vaunted Digital Britain Report, that is intended to form the UK governmental approach to digital media and its distribution. 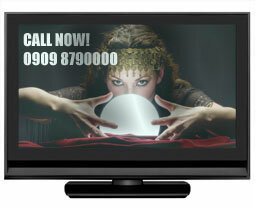 UK broadcasting regulator Ofcom has given the big thumbs up for the creation of three spanking new high definition (HD) channels on Freeview from Autumn 2009. Expected to start rolling out from the Granada region first, Channel 4, Taff-tastic Welsh-language broadcasters S4C, plus the gang of Channel 3 licensees (ITV PLC, Channel TV, STV and UTV) will be able to join HD pioneers BBC and start serving up new HD services on digital terrestrial television (DTT). Ofcom are altering the very grandly named, “Universal Service Condition 1,” to let BT provide discounted connections to people on their Ebbsfleet Fibre optic trial, which plans to provide network connections of up to 100Mbps. H2O Networks, of Merseyside UK, have got an interesting idea for providing high speed Internet access to homes and businesses – by running fibre optic cables through the sewer. This apparently initially grubby idea isn’t new – we first wrote about the concept back in December 2001, when a company called CityNet was talking about the idea (we notice that their Website has disappeared in the intervening time). It’s good to see that it’s actually happening in the UK. Londoners lap up broadband almost twice as fast as folks in in Wales and Northern Ireland, according to a survey by BBC News. The speed tests were carried out by Thinkbroadband.com who whipped out the white coats, chewed pencil ends and rifled through papers as they spent two months analysing broadband speeds in no less than 6,000 locations. It’s been announced that, for the first time, rural broadband installations across the UK have overtaken those in Urban areas, according to Ofcom. The whole of the UK breaks down to 59 per cent of households in rural areas now have broadband compared to 57 per cent of urban areas. There’s no shock that Ofcom have today detailed new Broadcasting Code rules intended to control the once-bonanza income generating TV programmes using Premium Rate Services (PRS) phone lines. The new rules make it clear that both radio and TV programmes cannot, as their primary focus, be encouraging viewers to call in using PRS. The focus should be editorial. 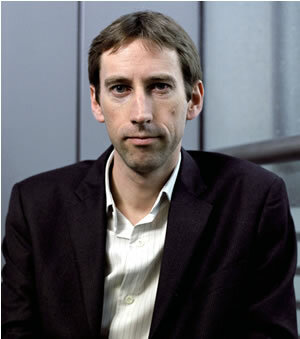 Uber-regulator Ofcom is making two changes at the upper echelons of the organisation. Ofcom are bringing in people who are currently working at some of the media companies that they are regulating. 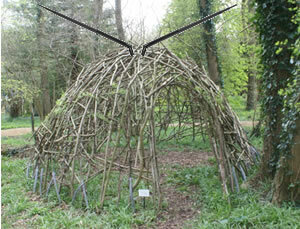 With some artistic licence you could even stretch it to poacher turned game keeper. Mobile operator O2 have attracted the attention of uber-regulator Ofcom, with accusations that O2 haven’t adhered to their 3G rollout obligations. The ruck between the two of them has come to light as part of the 3G licence obligations that the five operators of 3G licences entered into when they won the 150 round auction back in 2000. Under those terms, the licence operators committed to providing 3G coverage for at least 80% of the UK population by the end of 2007. 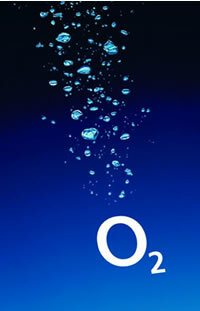 Ofcom say that O2 has only achieved 75.69 percent, equating to them missing 2.5 million people. The other four 3G holders have hit the requirement. 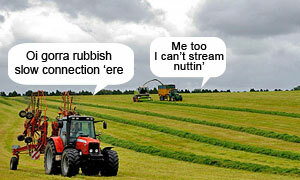 There’s been some noise in the last few weeks in the UK media about the speed – or lack of it – of broadband connections.